Power supply: 5 V DC / 30 mA (from base unit). Interface: RS232C with 9 pin D-SUB compact plug (photocoupler isolation). Communication speed: 0.3 – 115.2 kbps. 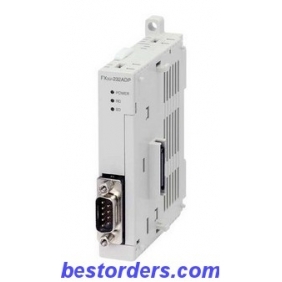 [FX3U-232-ADP (FX3U232ADP) Mitsubishi PLC Special Adapter Unit] related products:OMRON PLC、Siemens PLC、Schneider PLC、Allen Bradley PLC. 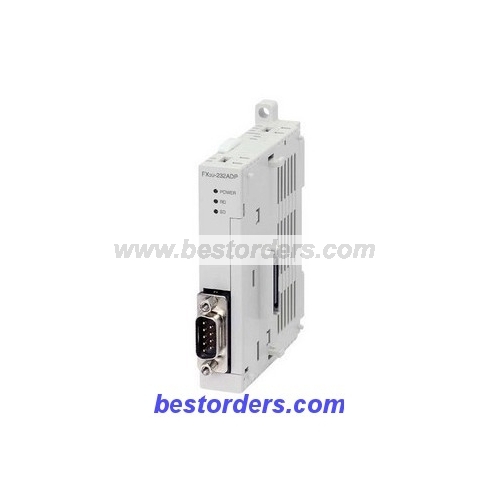 Tell us what you think about FX3U-232ADP FX3U232ADP Mitsubishi PLC Special Adapter Unit, share your opinion with other people. Please make sure that your review focus on FX3U-232ADP FX3U232ADP Mitsubishi PLC Special Adapter Unit. All the reviews are moderated and will be reviewed within two business days. Inappropriate reviews will not be posted.